The air was heavy with the smells of harvest as I drove north through the Willamette Valley towards Independence Oregon. 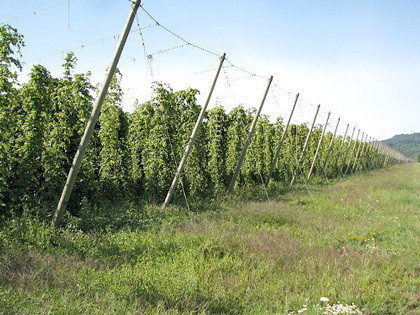 The hop crop estimate for 2008 was released on August 12th and the USDA estimates a whopping 27% increase for 2008. I wanted to take a gander for myself and the Alluvial Farm, headquarters of Rogue Farms, was close by and I’m on friendly terms with the people there. I’d been to the farm before and toured the facility. 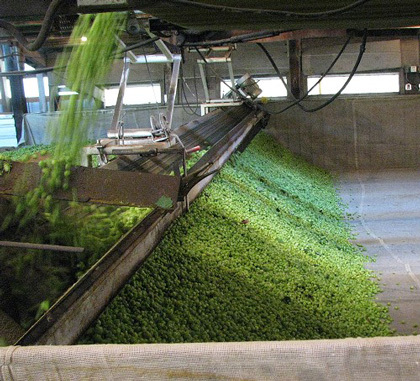 Today I hoped to see it in action as hops were harvested and processed into bails of green gold, destined to satisfy the taste buds of beer enthusiasts worldwide. I wanted to see for myself what the harvest looked like and boy did I get an eye full. 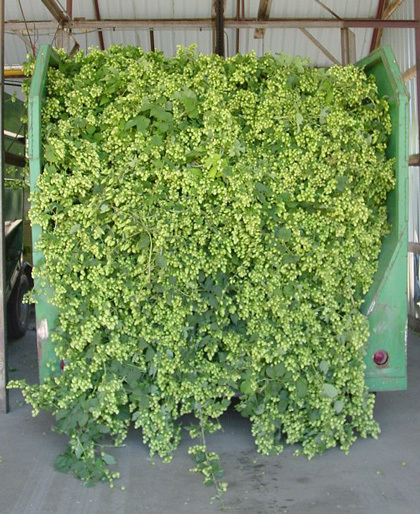 I’m no farmer so don’t take my word for it, but the yield looked very good on the acreage I saw and the trucks coming in were stuffed to the top with heavily coned hop vines. I documented the harvest process in my Flickr gallery and it looks like 2008 will be a very good year for beer. I looked at that last picture and I heard a choir of angels singing. yes there is a god and he loves me !